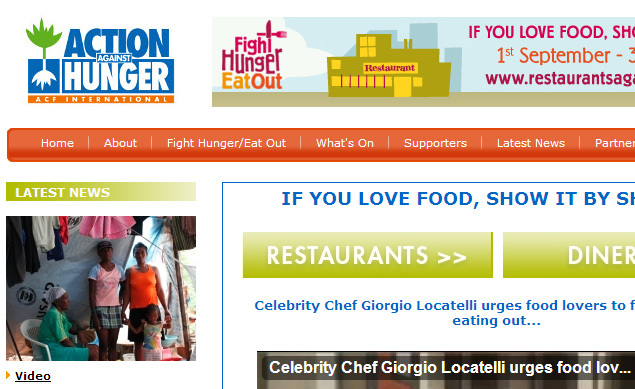 23 July 2010 – Once again humanitarian organisation Action Against Hunger is calling on the country’s chefs and restaurateurs to unite in the fight against hunger and join culinary luminaries such as Rick Stein, Raymond Blanc, Giorgio Locatelli and Cyrus Todiwala in supporting the UK’s leading foodie campaign Fight Hunger Eat Out. Taking place throughout September and October 2010, Fight Hunger Eat Out raises essential funds to help provide adequate food and safe drinking water to malnourished children and their families. Last year saw the foodie industry raise over £450,000 for the campaign, with all funds going directly to support Action Against Hunger’s work. This year, more than 600 restaurants are expected to sign up, making this year’s campaign bigger and better than ever before. 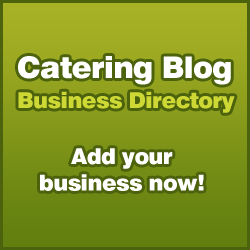 Taking part could not be easier: whether your operation is a restaurant, café, deli or gastropub, you can do your bit in a way that suits your business. Ask your customers to donate a small amount after enjoying a fabulous meal or give a percentage of sales from a designated dish. The underlying principle is simple: if you love food, show it by sharing. Join the hundreds of chefs and restaurateurs already committed and help end child hunger. Good article it’ s really distinct, i liking scrutinize it! Exceedingly good article and blog, poker is good to ! Looks like a very good cause. Here’s hoping that all the efforts bore fruit. I totally agree with that wonderful statement “If you love food, show it by sharing.” I’m happy to see such dedication towards providing nourishment for hungry families and children and I hope 2010 brought just as much, if not, more success than the previous year! Kudos to all who have participated. What a wonderful cause. Would love to be able to take part as every bit counts.